The unrelenting midday sun filled the passenger bus as we completed the final stretch from Entebbe to Hoima. 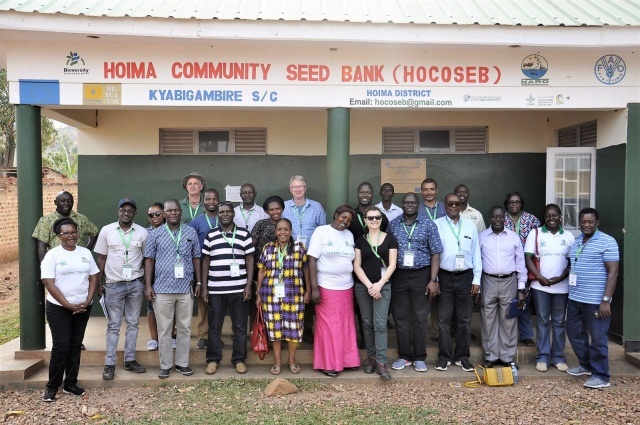 The field visit kicked off with Hoima’s seed fair, gathering diverse climate-resilient varieties of saved seeds and bringing together international research centers and treaties, national gene banks and farmer associations from across Eastern and Southern Africa. This excursion aimed to foster resilient seed systems across the region. 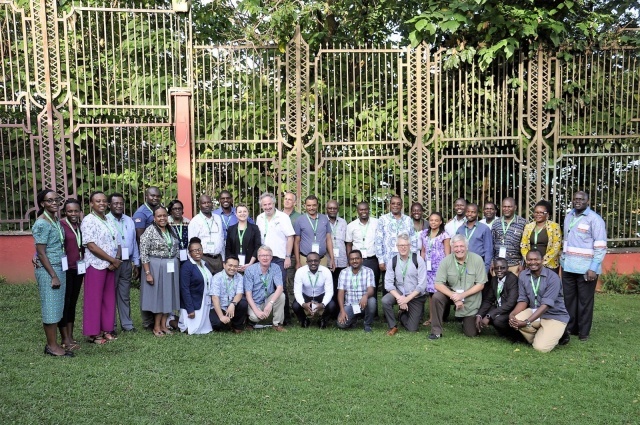 It was held in Hoima, Uganda, one of the Climate-Smart Villages (CSVs) of the CGIAR Research Program on Climate Change, Agriculture and Food Security (CCAFS). The field visit and workshops were organized by Bioversity International, Community Technology Development Trust (CTDT) Zimbabwe, the Royal Tropical Institute (KIT) and Wageningen University (WUR) in March 2019. The next stop on the field visit was the Hoima Community Seed Bank (HOCOSEB). The seeds filling HOCOSEB have been selected by farmers as best performing for agronomic traits including early maturity, higher yield, tolerance to water stress and pests. They also have a high resistance to diseases and are used to promote biological diversity and conservation. 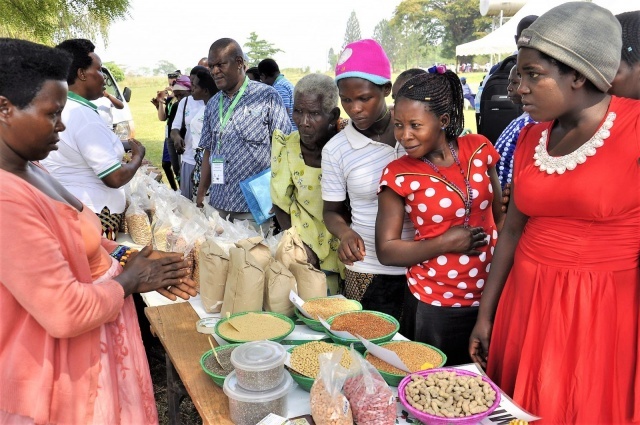 Hoima’s seed bank, which was launched in August 2018, currently holds around 30 bean varieties, 23 finger millet varieties, two cowpea varieties and one pigeon pea variety, hailing from Kenya, Tanzania and Uganda. Women farmers are also keeping three local vegetable seeds at HOCOSEB, adapted to local conditions. Despite this progress, several challenges persist given that most of the seed bank’s varieties are farmers’ own selection, including limited access to good quality seeds with definite moisture content, capacity to germinate and high-performance levels. One exceptional farmer overcoming many of these hurdles is Joy Mugisha, who began working with Bioversity International in 2008 and has been instrumental in improving agrobiodiversity in Southern Uganda. 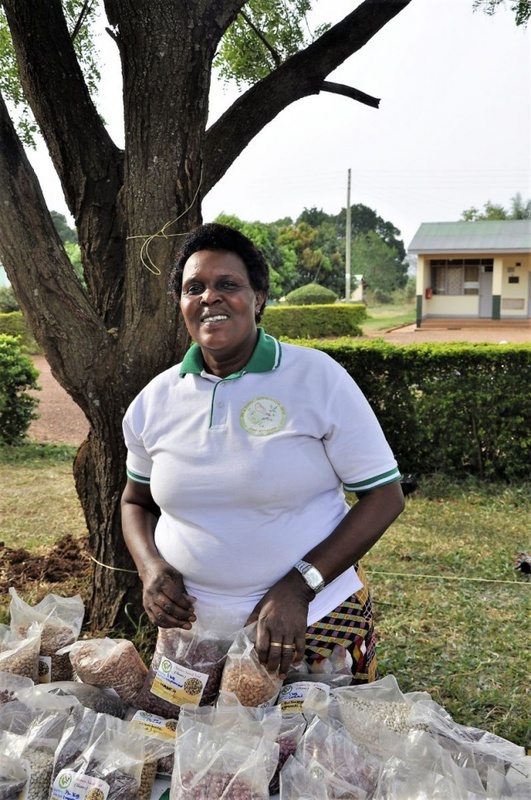 In 2016, she was awarded Best Farmer in South Western Uganda, as part of Uganda’s National Best Farm Competition* which highlights farmers who are transforming the country’s agricultural sector in productivity, efficiency, sustainability and resilience. The question is how to amplify such examples from community seed banks to model farmers. How can they transition from fragmented networks to levels of sub-regional exchange between Eastern and Southern Africa? Given the complementary agro-ecologies, such a model could provide a platform to share, combine and scale seed access, knowledge and networks to create resilient seed systems. Such linkages are crucial under a changing climate in which planting, growing and harvesting conditions become increasingly volatile. “Over time, as a result of the changing climate, local communities will be increasingly dependent on traits that come from germplasm not necessarily from their local region,” said Michael Halewood, Head of Policy at Bioversity International. Sub-regional approaches could therefore help to diversify food baskets as a strategy for food security, access diversity through both national genebanks and community seed banks. Besides they can buffer agrobiodiversity loss associated with climatic changes. Resilient seed systems in East Africa project is supported by the International Treaty for Plant Genetic Resources for Food and Agriculture (ITPGRFA) through the United Nations Food and Agriculture Organization (FAO), Bioversity International, National Agricultural Research Organization – Plant Genetic Resources Centre (NARO-PGRC) Uganda, European Union, Dutch Ministry of Agriculture, Nature and Food Quality. *The annual award series is organized in partnership with the Development Finance Company of Uganda (DFCU) Bank, Vision Group, the Netherlands Embassy and KLM Airlines.